A great strength of Wonders of World Engineering was the illustrations used. The publishers reckoned over 2,000 illustrations were used in compiling this fascinating and informative part-work. These pages will explore the richness of these illustrations in more detail, providing further information about the full-colour covers, the colour plates, the photogravure supplements, and the full-page black and white illustrations. See the sections below for more information. Many issues of Wonders of World Engineering contained a photogravure supplement printed on heavier paper. They were usually bound in the centre of the issue. 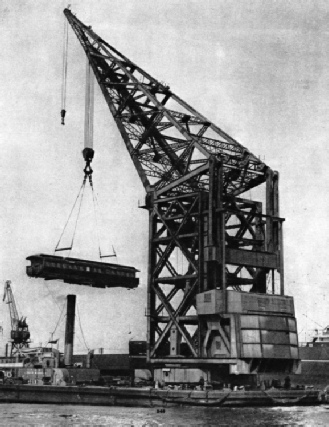 The following link will illustrate all the photogravure supplements (when they are all uploaded), or click on the image of the giant crane. The photogravure supplements feature within the details of the relevant issues of Wonders of World Engineering on this website. Colour plates were a regular feature of Wonders of World Engineering. Both part 1 and part 2 contained folding colour plates. The usual single page plate was usually attached to one of the pages of the issue. Several colour plates also appeared as covers to the series. 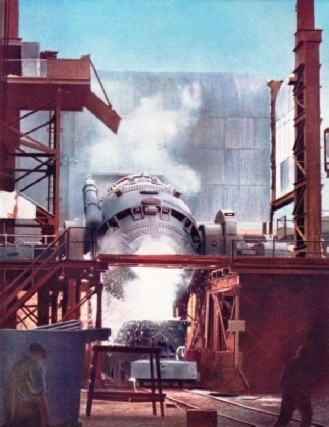 The following link illustrates all the colour plates (when they are uploaded), or click on the image of the steelworks. The colour plates also feature within the details of the relevant issue of Wonders of World Engineering on this website. Many issues of Wonders of World Engineering contained at least one full-page black and white photograph. 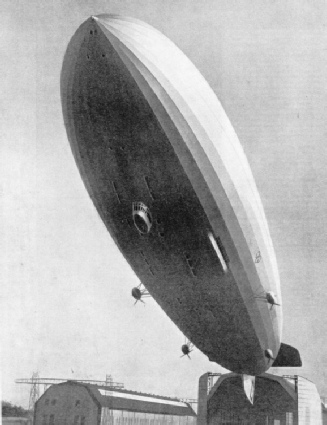 The following link will illustrate a selection of these photographs (when they are all uploaded), or click on the image of the “Hindenburg”. Not every photograph appears within the details of the relevant issue of Wonders of World Engineering on this website, so you will find additional photographs in this section. 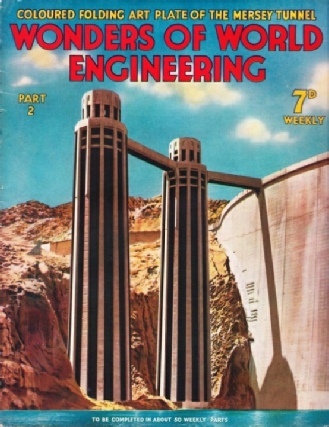 Every issue of Wonders of World Engineering came with a full-colour cover. There are fifty-three all, and they can be seen by using the Volume 1 or Volume 2 tabs, since every cover will be illustrated on this website.